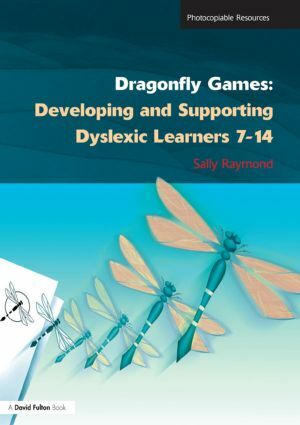 Dragonfly Games are designed for use with small groups of dyslexic pupils. The practical and varied resources can also be used outside of the classrooom to encourage over-learning and revision of curriculum topics. Stimulating and fun to do, the games help pupils to: overcome specific barriers to learning through the use of experience, over-learning and discovery; master skills beyond those of literacy and numeracy development, including thinking skills, tactical strategies, sequential application and gamesmanship; and devise their own games, developing their ability to use varied methods of application useful for overcoming learning weaknesses within their own specific profile. As the games are heavily loaded with luck, the chance of success does not depend on the pupil's performance. This helps to encourage players to participate fully, in an environment that is pupil-friendly and very enjoyable. Name: Date: Playing instructions numbers. number scores a 'yes' complete a successfully, score points.